Freedom or Death is a documentary about the refugees who were detained in Australia's most remote offshore detention centre on the impoverished Pacific Island of Nauru. This intensely human story deals with the personal impact of the Australian Government's Pacific Solution. The story emerges through personal interviews with key players directly involved with the issue, united by a common concern for the refugees. And it is the inspiring story of Chaman Shah Nasiri, a Hazara refugee from Afghanistan, who represented the detainees. When claims for asylum were rejected following prolonged and indefinite incarceration, a group of detainees began a hunger strike in a final act of desperation. Their official statement and slogan was freedom or death. 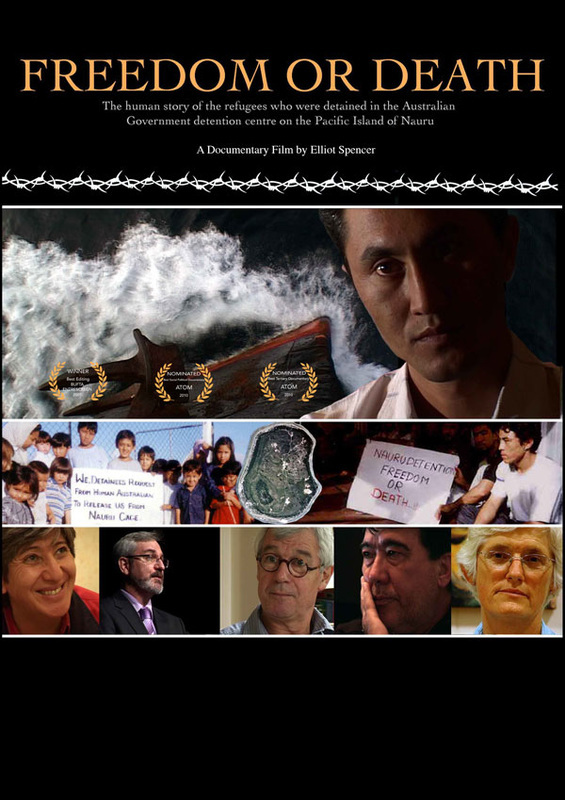 This documentary explores a deeply controversial chapter in our history exposing human rights abuses, which were deliberately hidden from the international community. It brings light to key issues including children in detention, the forced separation of families, Nauru's environmental degradation, and the hunger strikes. Featuring interviews with Frederika Steen, Hassan Ghulam, Chaman Shah Nasiri, Julian Burnside QC, Andrew Bartlett, Keith Davis and Dr Sima Samar. Captured in the exhibition is a unique and intimate portrait of the Solomon Island people and their culture. The Solomon Islands, situated in the South Pacific off the east of Papua New Guinea and northeast of Australia, is made up of more than 990 mountainous islands and low-lying coral cays. The exhibition features photographs taken in Guadalcanal, Honiara, China Town, Nendo Island, Morova Lagoon, Gizo Island, Munda, Vella Lavella, Kolombangara Island, and Mt Rano. Meaning of ‘Wantok’ - There are more than 200 distinctive languages spoken in the Solomon Islands. The Wantok system is an unwritten social contract, between people that speak the same language, to support each other in times of need.